It all began with one decision that changed everything... I always find it fascinating to hear how other teachers have discovered the Ultimate Music Theory Workbooks and the Ultimate Music Theory Teacher Certification Course. 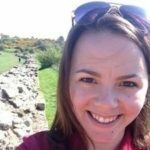 I am thoroughly enjoying getting to know Hannah Brackenbury through the Ultimate Music Theory Teacher Certification Course and I asked her if she would share her UMT Testimonial in a blog. Hannah Brackenbury is a Music Teacher in Revelstoke, British Columbia. 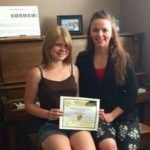 She is 21 years old and is currently working on her Grade 10 RCM and her Ultimate Music Theory Certification. Her goal is to complete her UMTC and ARCT so that she can become a Registered Music Teacher. Hannah and her mother run "Brackenbury Music Studio" in the basement of their family home where Hannah teaches piano and theory. In her spare time, Hannah enjoys spending time with friends and trying new activities such as climbing and river kayaking. In the winter, she loves going cross country skiing. She has also been bitten by the travel bug and in May she visited Europe. When I was first told about Ultimate Music Theory, I jumped at the chance to look at the curriculum. I was about to start teaching my first theory student and I had no idea how I was going to do that. Of course, I had taken my own theory exams a number of years ago, but I hadn't really looked at it since. My colleague was teaching a theory student who had introduced us to the Ultimate Music Theory Curriculum. I was able to look through one of the UMT Workbooks right away. Wow. I was so impressed by the amount of detail and explanation that Glory had put into each lesson. I couldn't wait to try it out with my very first theory student! I immediately went onto the website and ordered the Ultimate Music Theory Workbooks that I would need. I also ordered the Whiteboards, games and any extras I could get my hands on, including the UMT Basic Music Theory App! After I received my order, I began looking through the books and I realized that I still had only a small memory of learning many of these theory concepts...and now I had to teach them?! Thank Goodness for the Ultimate Music Theory Teacher Certification Course! As I read the online description and watched the video about the Course, I knew that this Online Course was exactly what I needed to do. I could work through it at my own speed and on my own time. I immediately signed up and got started! WOW! Not only has this Online Course been a great refresher for my memory, but I am learning all these new Memory Joggers to continue to improve myself and my students. I am so thankful for Ultimate Music Theory. It has increased my teaching confidence and has definitely changed the way that I explain concepts to my students. As I am working through the Ultimate Music Theory Teacher Certification Course, one of the many things that I am impressed with is the explanation of Learning Styles. This knowledge has really changed my approach to teaching my students. My students learn so much better when I can explain concepts to them in their learning style - in a way that they will understand. I really enjoyed teaching my very first Theory Student! It was so easy to implement the ideas from the Ultimate Music Theory Teacher Certification Course into our lessons! 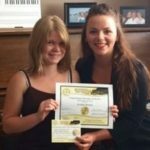 To my amazement, my first ever Theory Student received 100% on her examination! That in itself speaks of the excellence of this program. I filled out the 100% Club Form online on the website, and I received a Certificate and a UMT Gold Pin to present to my Theory Student. She was so excited and so was I! P.S. 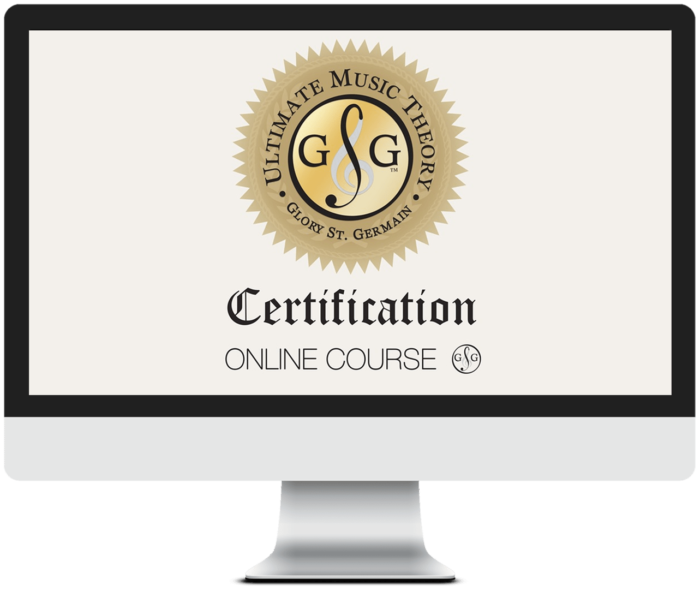 I highly recommend getting started today with the Ultimate Music Theory Certification Course!